After experiencing the awesomely impressive Bose SoundLink Mini recently, I had a go with the Bose QuietComfort 20 (QC20) which retails for S$499 in Singapore. A control module the size of a chewing gum contains the digital signal processor to power up the noise-cancelling circuitry. The in-ear phone units are larger than average, but surprisingly easy to fit. While most earbuds require you to stuff into your ear canals to create an uncomfortable vacuum, you wear the QC20 just like any non-in-ear phones, and it will rest snugly in position, feeling no strain whatsoever. 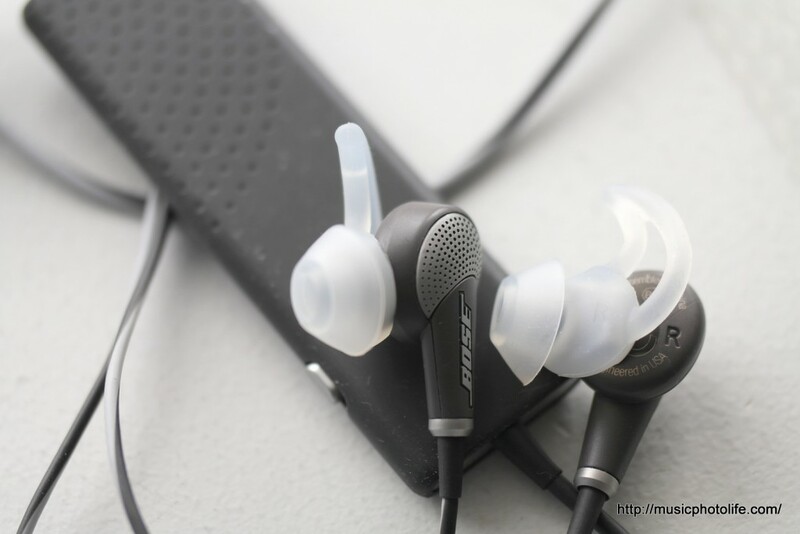 Thanks to the StayHear+ tips, the QC20 is one of the more comfortable in-ear phones I have tried. The noise-cancellation works like magic! Once I turn on noise cancellation, the ambient noise disappears magically, as if I was transported to a soundproof room. A neighbourhood coffee shop instantly upgrades to a high-class coffee house, a busy shopping mall suddenly sounds as if the crowd had disappeared. The higher frequency noises are still audible, but this is an expected constraint because it is not possible to eliminate high frequency noises unless the circuitry is next to your eardrum. The other noise-cancellation headphones I tried, UE9000, did not even try hard enough to reduce much ambient noise. 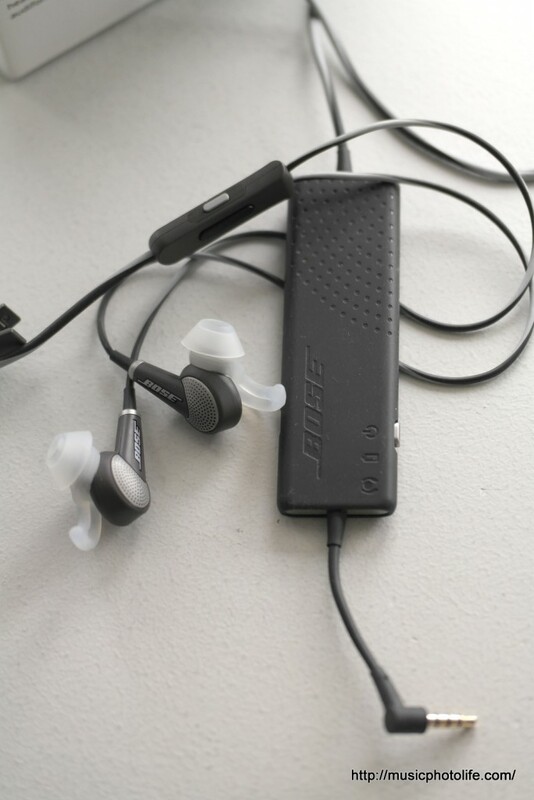 A noise-cancellation button next to the in-line control not only disables noise cancellation, but also lets you hear the ambient sounds as if you never wore any earphones – Bose calls it “Aware” mode. That again is another interesting experience: to be able to enjoy personal music and hear what’s around me. With Aware mode, I no longer have to remove the earphones for situations like listening to train announcements, or (ahem) eavesdropping. The noise-cancellation control module is easily recharged using micro USB charger, with a full charge lasting up to 16 hours. In the event that the battery goes flat, you can still listen to music without power – another awesome feature! Without turning on noise cancellation function, the QC20 earphones sounded laid-back, flat and natural, no sparkling treble or boomy bass. With the noise cancellation function turned on, the sound becomes more alive and dynamic with clearer treble. To the trained ear, it may sound processed, but after all, the earphones are working doubly hard to deliver unbiased audio quality while trying to apply noise-cancellation algorithm. I am happy to trade off the audio impurity for the noise cancelling capabilities. For me, I tend not to be too critical when I listen to music on the move. Furthermore, you can only enjoy high audio quality when you are free from disturbances and devoid of surrounding noise. In that situation, you would not even need noise cancellation earphones. In general, the QC20 offers comfortable bass, warm mids and slight treble boost, good enough for me to enjoy my favourite music on the move. The QC20 is a real comfort to listen to. The earbuds fit snugly without feeling too tight, the noise-cancellation works like magic, which lets me listen my music better in noisy environment. 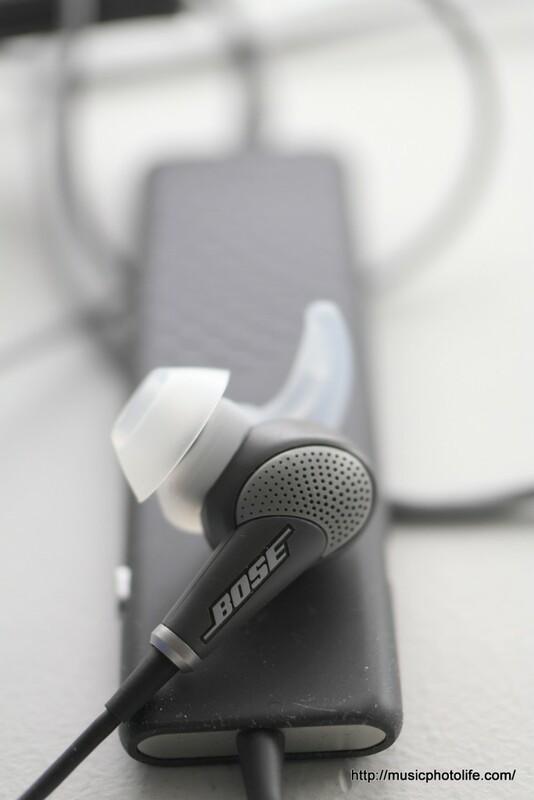 Price may be steep but if you need noise-cancellation to save your sanity, the QC20 does the job very well. Don’t believe me? Go test yourself at the Singapore Atlas Experience Store. Also available for iPhone, iPad, iPod (iOS devices) under the model QC20i. International consumers can also purchase from Amazon.